Kimberly Amadeo, president of World Money Watch, thinks oil price changes take six weeks to work their way through the distribution system. In Amadeo's "How Crude Oil Prices Affect Gas Prices" she talks about volatile oil and gas prices in the United States since the global financial crisis of 2007-2008. Five thousand miles away, a reporter looks at the "causes of price swings" in Freetown, the capital of Sierra Leone. In 2016, a fuel price increase saw the pump price for a gallon of gasoline and diesel shoot up from Le 3,750 to Le 6, 000 per liter (the equivalent of about 67 cents to $1.68), which caused the prices of all other goods and services in Sierra Leone to go up. Defending the increase in 2016, Abdulai Bayraytay, a former presidential spokesman, said removing the fuel subsidy was necessary to address the loss of revenue caused by the Ebola crisis and the fall in the price of iron ore, Sierra Leone's principal export. The Ernest Koroma government (2007-2017) claimed they were spending 150 billion Leones yearly as subsidy on fuel. Then in opposition, the Sierra Leone People’s Party accused the government of trying to cover up their mismanagement of the economy. When the global price of oil fell below $36 in Dec. 2015, former President Ernest Koroma reduced local pump prices from Le4,500 to Le3,500. By November 2016, OPEC announced a production cutback, and oil prices rose above $54/barrel in December. Gas prices also rose and Koroma announced an increase to Le6, 000. Hard pressed to finance the budget after the economic fallout caused by the Ebola outbreak (2014-2015), Sierra Leone turned to the International Monetary Fund (IMF) for financial assistance. to help absorb the loss of tax revenue from the closure of London Mining Company and African Minerals due to a sharp drop in the price of iron ore from $190 per tonne. According to Metal Bulletin, London Mining went into administration in October 2014 and African Minerals, after halting share trading and output in December as iron ore prices fell to six-year lows of less than $60 per tonne, finally called in the administrators on March 6. Sierra Leone was the world’s sixth-largest iron ore exporter to China, with its iron ore industry and related services accounting for around 30% of the country’s GDP. Part of the conditions for receiving IMF support was Sierra Leone's agreement to the liberalization of the country’s fuel market by withdrawing subsidy which IMF said the government can no longer afford. The latest fuel price increase has raised muted protests against the price of gasoline, diesel, and kerosene jumping from Le6, 000 per liter to Le8, 000. In presenting the proposition to parliament, Sierra Leone’s new Minister of Finance Jacob Jusu Saffa said liberalization of the fuel market (removal of subsidy) would rake in about Le150 billion. Part of it he said will be used to provide free primary and secondary education. Saffa said that the increase was inevitable. It was part of the conditions attached to IMF granting financial assistance to the Government of Sierra Leone reached in November 2017. Nelson Caulker, a retired dealer, said fuel price increase in Sierra Leone dates to the first devaluation of the Leone in 1978 in fulfillment of IMF conditions for budget support. He noted that all fuel price increases have been marked by general discontent, political opposition and sometimes riots because of the adverse effects on poor households. 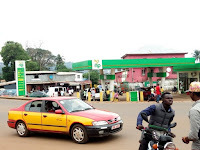 Many Sierra Leoneans feel cheated, especially after the new trade minister said the government has no plans to increase fuel price in the short run. 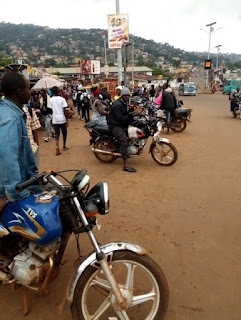 This fuel price increase "hurts the ordinary man who earns Le500,000 or less per month" said one man in a Kekeh, a three-wheel commercial motorcycle. This is a bitter pill for us all to swallow. I blame the government which promised what it cannot deliver." In response to public outcry, Sierra Leone's neighbors, Guinea and Liberia, have reduced fuel prices. Rodney Edmond Michael, former Sierra Leone Premier League board chairman, says fuel subsidy which some think is a pro-poor policy, had to go. "The loss to the government is incredible – about Le500 billion annually. I support the lifting because it was open to abuse with it benefiting the poor very little with the bulk of its benefit going to the middle class," Michael said. "I spend an average 66 liters of fuel a day for my office and residence in Bo. Since the fuel is used for a commercial purpose and my personal comfort, I and thousands of others benefited from the subsidy. "In monetary terms, I was benefiting 66 liters x Le2000 x 365 days = Le48, 180,000. So, think about the loss to the government from those who have massive fuel demand: mobile companies, banks and other commercial institution." With government subsidizing fuel, Michael thinks the poor were subsidizing the rich, middle class, and businesses. "The savings could be used for basic services like education, health, water, sanitation, electricity, better salaries for public servants and many developmental projects," he said. Mariatu buys coal from villages along the main Masiaka to Mile 91 highway. She used to pay anything from Le15,000 to Le20,000 for each trip. “Le5,000 has been added to my fare. That means to and from Freetown costs me Le40,000 instead of Le30,000. At the same time, I used to pay Le5,000 for a bag of coal. Now I pay Le7,000. That has made me increase the price of a bag of coal I sell by Le5,000,” she said. Jeneba said most commercial drivers bypass the toll gates on the Freetown-Masiaka highway so they can buy fuel at the new price. “Before the fuel price increase (Freetown to Bo City) cost me Le30,0000. It has gone up to Le40,000. 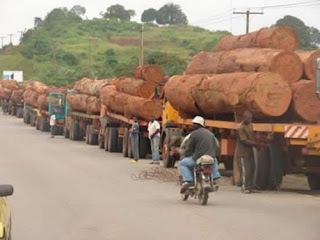 Market women and traders curse us, saying we are contributors to the hardship in the country because we have raised the cost of moving goods,” one truck driver said. Freetown's ubiquitous Okada and kekeh riders normally charge Le2,000 for trips less than one mile at most. "Fuel cost is Le28,000 now. I take home at least Le50, 000 every day. 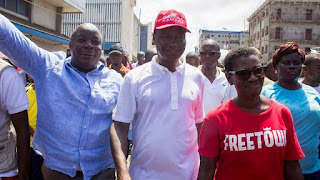 Times are hard for many," said one Okada rider, who covers about 200 miles crisscrossing the city. 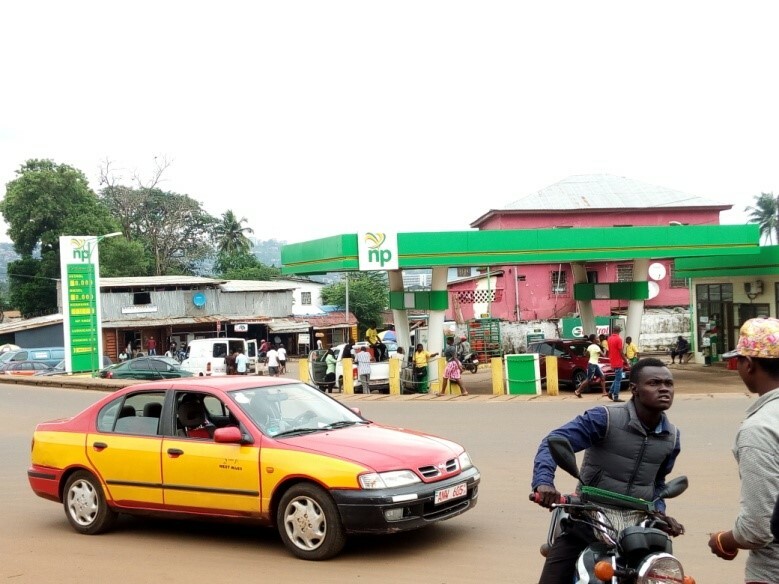 Mohamed Kamara owns a fuel station along the Waterloo-Masiaka highway. The fuel price increase has not affected his business, he says. "I still sell the same volume I used to." A ‘Jebu’ (black market) petrol trader, who wouldn't give his name, continues to make a profit. Black market fuel dealers buy cheap kerosene to adulterate diesel and petrol. Prior to June 2006, a World Bank study indicates that government did not influence fuel price in the country but allowed the oil companies to set price determined by fluctuations in the international market. This caused petrol, diesel, kerosene to be differently priced and the price of diesel was almost 50% more expensive than petrol and kerosene. 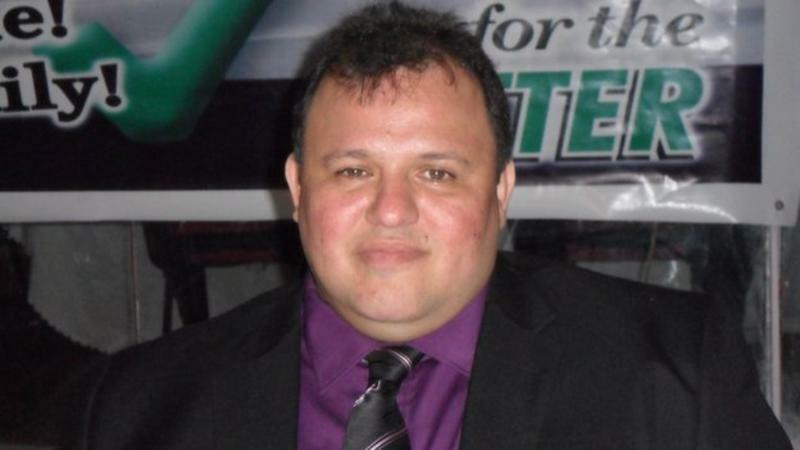 In response, the government decided to standardize the price of all fuels and on June 3rd, 2006 set the price of fuels at Le13,500 per imperial gallon. Price stability was maintained by waiving some taxes and duties as an indirect form of subsidy. This pricing system remained effective until 2012, except for a brief period during the 2007-2008 global crisis. 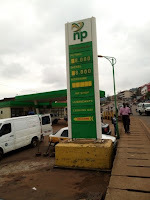 The latest fuel price increase now indicates Sierra Leoneans should no longer expect the government to subsidize fuel.